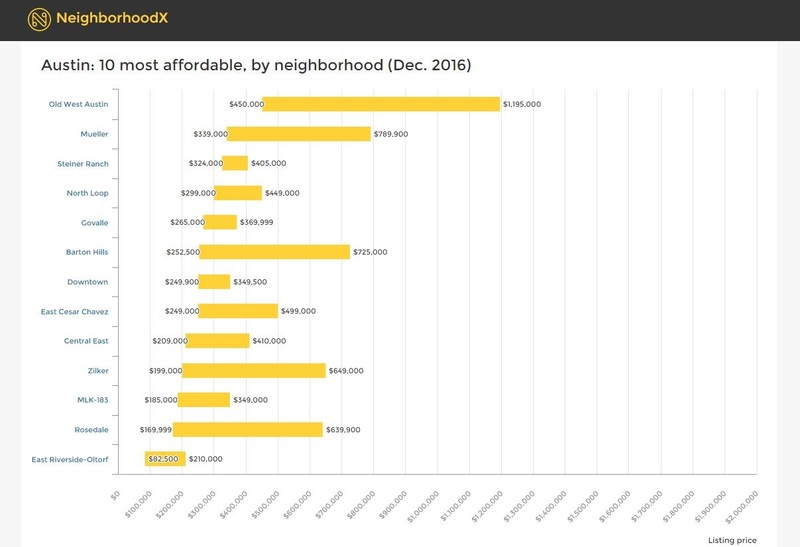 I was chatting to an agent a few days back who was convinced that the extreme sellers’ market in Austin was coming to an end. Is it true? Do we have inventory piling up? Her claim was that we were seeing price reductions throughout the central part of the city and homes were sitting on the market longer than we’ve been seeing. She didn’t think that this was just a “dog days of summer” slow down – the traditional furnace month in Texas often sees a dip in sales, and then sales pick up shortly afterwards. Here’s my gut feeling – that the market extremes don’t last forever, and when they get to the very edge of what’s possible, they tend to revert to a balance. When they’re at their most extreme, they change fastest. Are we at that extreme right now? I’m not convinced, though I definitely see buyers, sellers, and agents getting spooked. 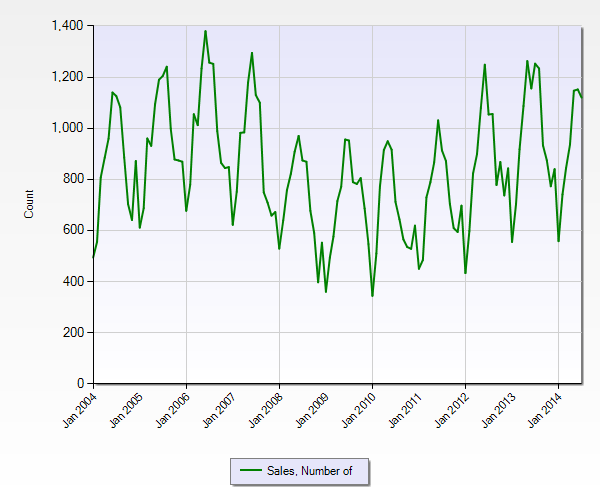 Here are a few charts I pulled from the Multiple Listing System for fun – data for house sales for the last 10 years in the city. There’s no more Central Austin being built that’s not either vertical or maybe at Mueller, and I’m not talking about the crazy activity in the production built suburbs with Cedar Park homes rising by 30% in value (shortly after they dropped a significant amount). I thought I’d include the November 2014 statistics update too now. Still going strong or so they say. 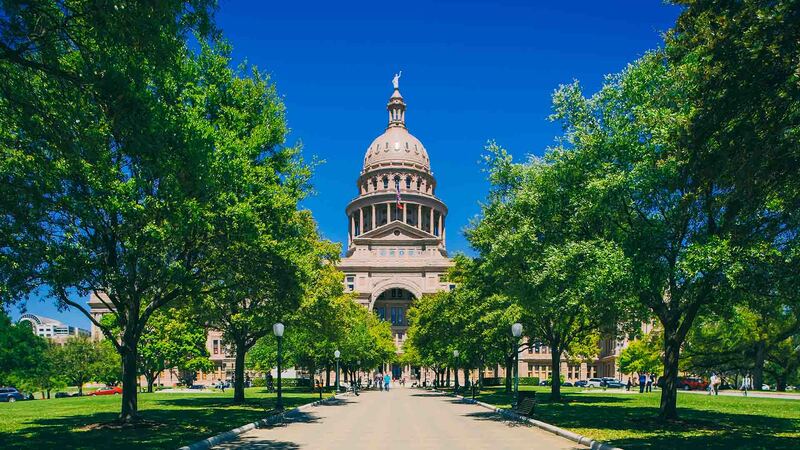 2014 could very well turn out to be another ‘best year ever’ for Austin-area home sales, but it’s important that Austin continue to replenish and expand its housing stock so these strong figures can continue. In the meantime, both homebuyers and sellers can expect the rest of the summer selling season to be highly competitive. It’s tempting to look at reports like those from Metrostudy and think that the market is still booming, but again, their report extends to the lower price points further away from the city in articles like this one about building starts and lot development. And KXAN are getting in on the action too, citing Austin as the nation’s hottest real estate market, and fanning the flames ever more. So where does the truth lie? 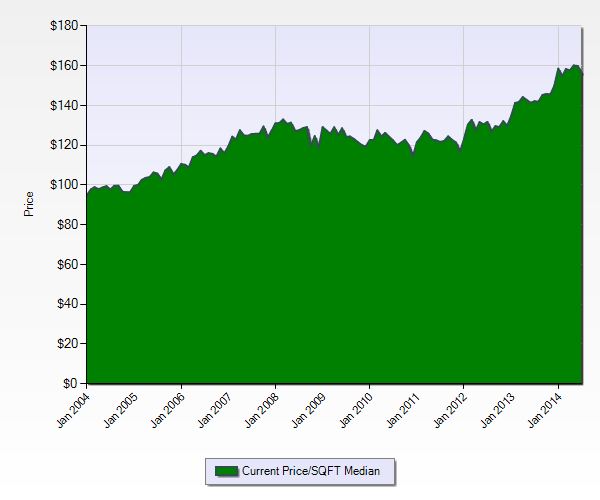 I like to look at close price to original list price data, shown above. This gives me an indication of how agents and sellers are seeing the market. 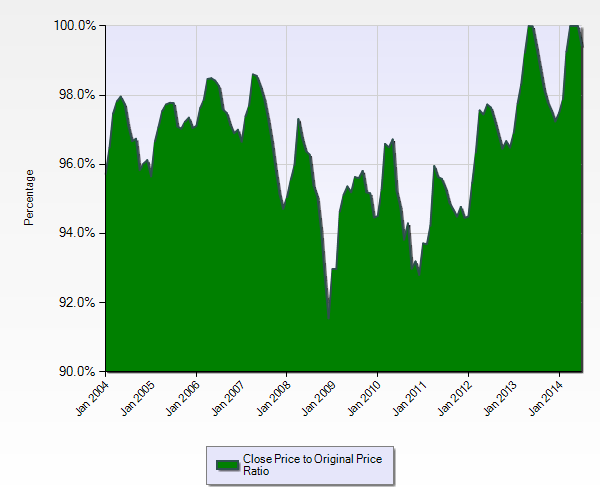 If there is heartache and a lack of realism about list prices (see 2009!) then list prices are high, and sellers end up taking a beating on the sales price. Right now, we’re still in the territory where the chart is bouncing off the 100% ceiling (adjusting for a typical seasonal droop). Above, we see that sellers are pricing ever higher. And from the previous closing price to list price chart, it looks like they’re getting what they’re asking for (or more). So where does this leave my gut feeling? MLS data is typically 30-45 days out of date – the difference between contract and close where no data is updated. So right now I’m not seeing any sign of a slow down, though sometimes it pays to listen to the word on the street. If you would like to know more about the value of your home, or how not to overpay for a home you’re trying to buy, please get in touch or call 512 215 4785. You can see all homes for sale in Austin at our website here. What is the track record of the ABOR president when it comes to predictions about the housing market? 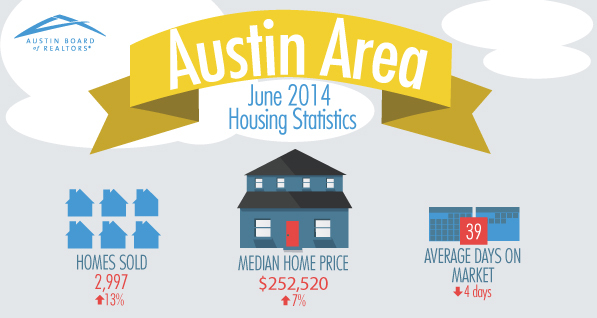 It seems to me that all the web blogs are saying that Austin is overpriced still. Surely that means a correction around the corner? I think interest rates rises will have a bigger impact. We tend to see that the suburbs get decimated when things shift.